Sono Bello in Boston, Massachusetts, is Beantown’s preferred destination for body contouring and liposuction. Located just off I-95 in Woburn, Sono Bello’s comfortable atmosphere and accommodating staff will immediately put your mind at ease. Choose from popular procedures like VelaShape, tummy tucks, laser liposuction, and Vaser LipoSelection. Sono Bello’s focus on slim physiques makes them a top Boston clinic for people looking to get in shape quickly. Their treatments hit notorious problem areas that diet and exercise just won’t eliminate, like love handles and inner thighs. Sono Bello is Boston’s leading clinic for laser-assisted liposuction. Their medically-trained professionals use the industry’s top lasers for breaking up unwanted fat. Spare tires and tummy jiggle don’t stand a chance against SmartLipo at Boston Sono Bello, used to eliminate fat while also tightening skin cells. Sono Bello’s laser procedures reduce the amount of manual power used during surgery, resulting in a quicker recovery period. Non-surgical treatments like VelaShape use radiofrequencies to gently melt away fat. The experienced staff at Sono Bello are excited to meet new patients from all over Massachusetts. Sono Bello Boston is conveniently located in Woburn, near Burlington, Reading, Medford, Cambridge, Somerville, Newton, Revere, and beyond. 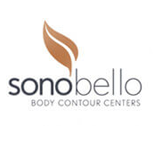 Call or fill out the contact form today to learn more about Sono Bello in Boston, or to schedule a personal consultation. Sono Bello serves residents of Cambridge, Chelsea, Somerville, Everett, Brookline, Malden, Medford, Arlington, Watertown, Belmont, Melrose, Milton and Winchester.